While you could theoretically use your usual tires on the snow, you’d experience far worse traction, and in some cases, could end up in a position where you couldn’t get your car up or down a hill without losing grip. Investing in a good pair of all-season tires can save you time in the long-run, as they can be left on your vehicle all year round. 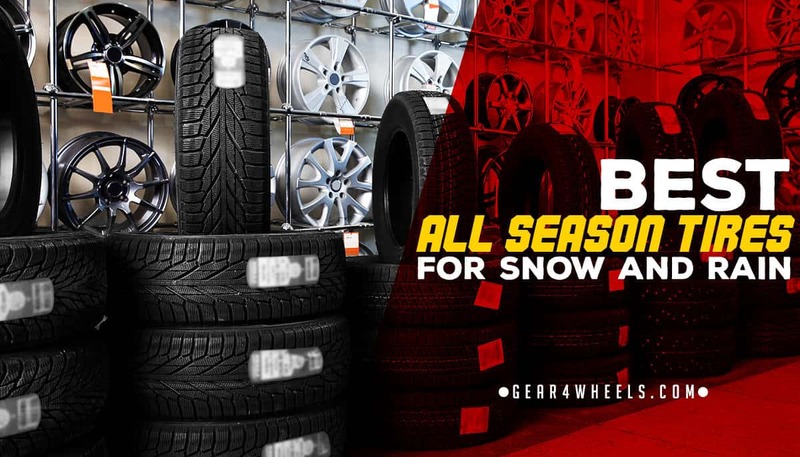 To help you choose the best all-season tires for your vehicle, we’ve collated 5 of the most popular all-season tires on the market right now, gathering tires from each end of the budget range. We’ll look at the pros and cons of each one, making a recommendation of the best options available. The Michelin Defender LTX M/S was designed to address the requirements of modern trucks and crossover vehicles, in terms of power and size. They combine long-lasting durability and tread longevity for a tire that performs well on all kind of surfaces, but without sacrificing stopping power or performance. The Michelin Defender LTX M/S is the latest iteration of SUV-grade tires from Michelin, with improved performance designs. It incorporates the tried and tested tread from the predecessor, the LTX M/S2, including the Evertread compound that ensures long-lasting tread life, regardless of wet or dry surface. The manufacturer promises a 10% longer lasting tread life in severe conditions, when compared to the previous generation tire. This Michelin tire has the highest mileage warranty available of any of the best SUV-grade tires on the market at present. Furthermore, this is supplemented by an incredibly detailed tread that shouldn’t wear out quickly. The tire also has an impressive wet stopping distance compared to low or mid-range alternatives. The main drawback of this Michelin-branded tire is its cost; this is typical for tires from brand leaders in the industry, even if a wealth of features justifies it. Additionally, the Tire Pressure Monitoring System requires specialized valves, which are far more expensive than regular ones. The Continental Extreme Contact DWS06 is an all-season tire from a premium brand and is priced as such. Overall, it is a strong product, with good traction on a range of surfaces, though on heavily snowy roads it performs worse than some alternatives. Continental's Extreme Contact DWS 06 tires are developed specifically for larger vehicles, designed to adhere to driving safety requirements all year round. They feature SportPlus technology, which brings together improved handling, traction on wet surfaces and wear. A silica-enhanced tread compound incorporates Silane additives to improve grip on slippery surfaces and prolong the life of the tire's tread. The Silane compound is specially contoured into Chamfered Edges, which deliver maximum traction and adherence in dry conditions, while Traction Grooves improve grip on snowy and icy roads. The design of the grooves is also specifically tailored to prevent hydroplaning and promote all-direction grip on all surfaces. These tires typically enjoy a very long tread life, maintaining their ridging and grooves over long mileage. They’re also supported by a limited warranty of 50,000 miles. Speaking of the tread, it’s also well-detailed, sufficiently so to prevent hydroplaning and improve traction. Though not the noisiest tires on the list of products we’ve reviewed, these will often require regular rebalancing and realignment. They also lose marks for their performance on snow; though popular as an all-season tire, they’re capable on light snowy surfaces, but perform not so well on heavy snow. 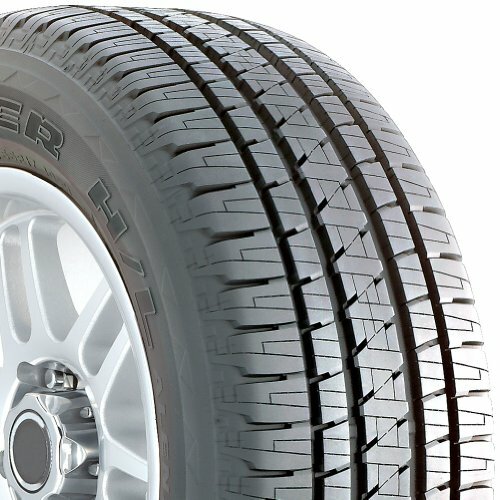 Bridgestone is one of the better-known brands in the automotive industry when it comes to tires, though the Dueler H/L Alenza performs worse in some cases than the Falken Ziex that we'll review below. Available since early 2011, the tires have received mixed feedback from automotive consumers. The Bridgestone Dueler H/L Alenza, complete with UNI-T and UNI-T AQII technology is a light truck, all-weather tire that's optimized for larger vehicles, including trucks, SUVs, and other crossovers. Whether you're driving in dry conditions, rain, or light snow, the tires will retain strong traction. The UNI-T AQII incorporates a dual-layer tread to prevent the regular rubber hardening that can occur from heat friction after thousands of miles of wear. Despite some issues with vibration, the tires handle very well all-round on a range of different wet and dry surfaces, in both 2 and 4-wheel drive. The excellent tread pattern outlined above also enjoys a very long lifespan, in some cases still going strong at mileage running into the 6-figures. 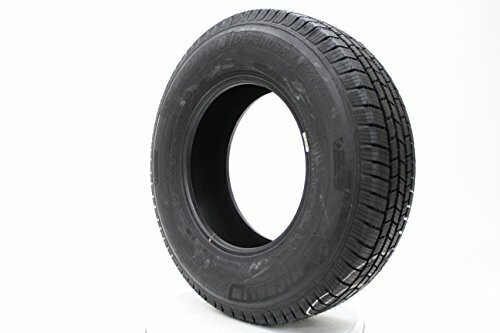 Some consumers report finding it difficult to balance these tires well, which leads into the second issue of them having a high degree of fluttering. At high speeds, the tires can vibrate and be relatively noisy; achieving the right balance is tricky. Falken has grown to be a reputable tire manufacturer but hasn't allowed that fact to inflate their prices too wildly. With a Falken tire, you're getting a premium product, without paying a premium. 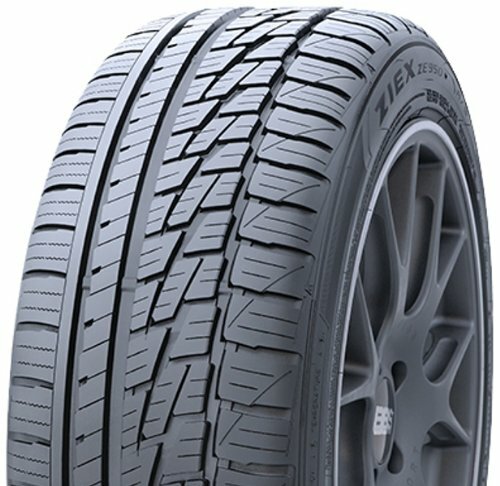 The Falken Ziex ZE950 is a tire designed for all-season, all-weather use. 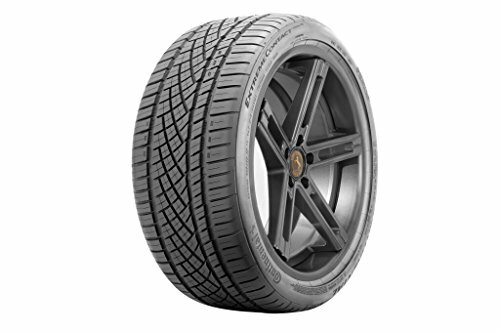 The Falken ZIEX ZE950 All Season Tire brings together the most modern advances in design and technology from the brand to build an all-weather tire that is suitable for SUVs, cars, small trucks, and sports cars. The tire incorporates Falken's Dynamic Range Technology (DRT), which keeps the rubber flexible at extreme temperatures, increasing traction on all types of adverse surfaces. The tread is specially designed to grip and funnel away snow, ice, and water. The brand's exclusive 'Canyon Sipe' technology provides increased edges for braking well on slippery ice, and the tread incorporates wide circumferential grooves and a wide angled tread slot. A sculptured groove wall offers even better grip in the snow and reduces the probability of aquaplaning. Falken have a good track record of producing high-quality tires at a discounted price, when compared to other brand leaders in the industry. 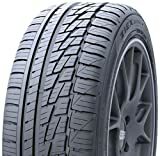 This specific model of tire has excellent grip on both rain and snow, but also on dry surfaces; as a result, they are clearly a strong choice for all-weather use. Finally, these tires also have good launch acceleration. Many users have found that this tire produces a great deal of noise at faster speeds, or on more uneven surfaces. They also tend to age more quickly on surfaces affected by adverse weather, such as snow, rain, and ice. That said, performance-wise, they are still very good performers on these type of surfaces. When it comes to tire brands, you have the big players such as Michelin and Continental, the lesser-known but reputable brands like Falken, and then the smaller brands like Hankook. Though this is one of those latter, smaller brands, the Hankook Optimo All-Season Tire still provides a comfortable ride and strong traction on wet and icy surfaces, but for a much lower price tag. 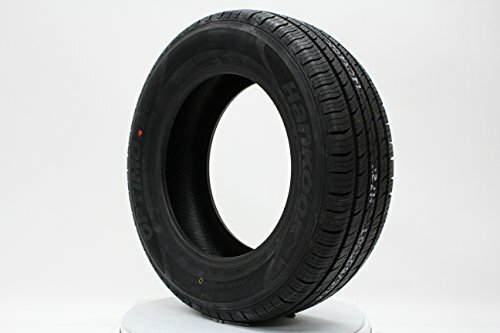 The tread on these tires has been calculated by a computer for optimal grip in adverse weather conditions. Using CCT (Caron Compounding Technology) and FSO (Footprint Shape Optimization) processing, the tires have been given a well-designed tread that won't slip and slide easily. Converging lateral slots throughout the tires aim to reduce noise and improve ride comfort, while high-density siping results in hundreds of biting points for increased grip on ice and snow. Performance in wet weather is optimized through four circumferential grooves, which rapidly funnel water away from the tire's footprint. For an all-season tire that won’t have to be flipped when winter rolls into spring, these tires are still relatively inexpensive. Additionally, the combination of two distinct types of patented design results in hundreds of different groove and bite points, combined into a single tread that provides strong traction when driving on snow, ice, or in rain. Despite having a 1-year warranty and guarantee for up to 100,000 miles, consensus is generally that these tires begin to degrade rather quickly. Some drivers have found that after around 10,000 miles, the tire begins to grow louder on the road. This can be a sign of wear, which is not ideal for tires that are intended for use in treacherous conditions. Our pick of the most popular all-season tires for snow-based driving is the Michelin Defender LTX M/S All-Season Radial Tire. Though it’s the most expensive of the tires that we’ve looked at, it’s also the most capable on snowy, icy ground, with an impressive stopping distance, and the longest SUV-grade tire warranty going.